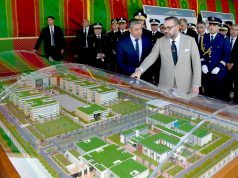 Whether or not the Holocaust will be introduced into the Moroccan curriculum, Morocco has a unique story as a Muslim state willing to acknowledge the Holocaust. Einat Levi is a researcher and a social activist who specializes in modern Morocco and a member of a task-team at the Mitvim Institute which explores Israel’s relations with key Arab countries. 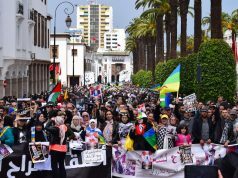 Rabat – Although Holocaust studies have not yet been officially included in the Moroccan curriculum, it is possible that we will see this happen one day in light of the country’s special history. Recently, rumors have been circulating that Morocco has decided to introduce Holocaust studies into its educational curriculum. The reason for the confusion apparently arose from an innocent error in the translation of Morocco’s statements at the UNESCO summit which took place during the meeting of the UN General Assembly in New York in late September. Saad Eddine Othmani, Moroccan head of government and leader of the Justice and Development Party, approached the podium at the summit. 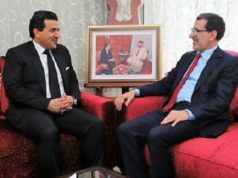 He calmly read out a message sent by the King, a message of moderation, tolerance, and pride in the special model of relations woven between Jews and Muslims in Morocco. “The history we teach our children must include a pluralist range of opinions and stories, it must present humanity’s greatest moments, as well as its darkest ones,” he said. At the conclusion of his speech, he approached the director general of UNESCO, Audrey Azoulay, and shook her hand. There is no doubt that she understood Othmani’s meaning. Indeed, her surname hints at her connection with Morocco, and Audrey is the daughter of Andre Azoulay, advisor of King Mohammed VI of Morocco, and before that, advisor of King Hassan II. Morocco, regardless of whether it implements the Holocaust into the curriculum, is unique among Muslim countries. Most Muslim states oscillate between avoiding taking a stance on the matter and Holocaust denial, because acknowledging the Holocaust is perceived as harmful to Palestinian interests. So how can it be that Morocco acknowledges the Holocaust? The answer to this, as in many other matters, is the King, in this case King Mohammed V.
According to the Moroccan narrative, which many Moroccans are familiar with, when the Vichy regime ruled Morocco at the beginning of the 1940s, King Mohammed V was asked to hand over the Jews of his country to the Nazis. The Moroccans relate with pride that the King refused to concede to this demand, arguing fervently that there were only Moroccans in his country. Of course, in reality the story was more complex: Restrictive decrees against the Jews were imposed at the instruction of the Vichy regime and freedom of employment, movement, etc., were limited. Up to today, the issue remains a source of dispute, and despite the important role King Mohammed V played, he has not yet been awarded the title Righteous Among the Nations. However, King Mohammed V was and remains a hero who saved the Jews. Here lies the real meaning of the story and whether accurate or exaggerated, it allowed Morocco to develop a positive national identity with regard to the events that took place during World War II and the horrors of that period. While in Europe the Jews were annihilated, the Muslims in Morocco helped save them. 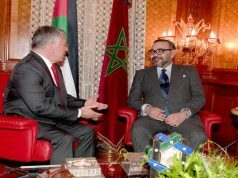 But what has happened since King Mohammed V’s gesture to the Jews of his land, and how does Morocco relate to the Holocaust today? Until 2009, Morocco made almost no public statements regarding the Holocaust. Morocco did not officially acknowledge or deny it. Among the general public a range of opinions existed, but on the national level silence reigned. In 2009, UNESCO inaugurated the Aladdin Project, designed to serve as a platform for activities and educational and cultural initiatives that would bring closer Jews and Muslims in the Middle East and beyond. It was initially established by France, Jordan, and Germany; later on, other states such as Indonesia, Mauritania, Turkey, Tunisia, and Egypt also joined. One of its endeavors involves the translation of literature and films about the Holocaust into the official languages of the UN, especially Arabic. The project even enables free digital download of the books, thus making quality content on the topic available. 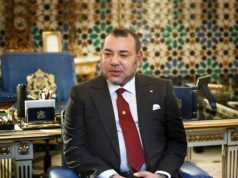 Morocco apparently liked the initiative and King Mohammed VI acknowledged the Holocaust in an official message to the initiators of the Aladdin Project. This was a rare official declaration by a leader of a Muslim country. When the King speaks, his message begins to trickle downwards, even though obstacles are met along the way. In April 2010, Andre Azoulay, the advisor to the King, declared that the Moroccan Ministry of Education needs to introduce the Holocaust into educational programs in schools. This initiative elicited protest from pro-Palestinian groups: They called for him to pack up his belongings and leave the country. In response to the protest, an opposing campaign, supporting Azoulay and the message he sought to impart, ensued. Despite the opposition, various elements in Moroccan civil society have adopted Azoulay’s message with pride and organized lectures and conferences in higher education institutions, including testimonies by Holocaust survivors who came to Morocco to tell their stories. In addition, there are other initiatives in Morocco that seek to change and adapt the educational program, in order to increase the representation of all shades of Moroccan heritage, including Jews and Amazigh (Berbers), which at present are almost completely absent from the history books. At the bottom line, whether the Holocaust will be officially included in the Moroccan curriculum or not, Morocco has a special history. 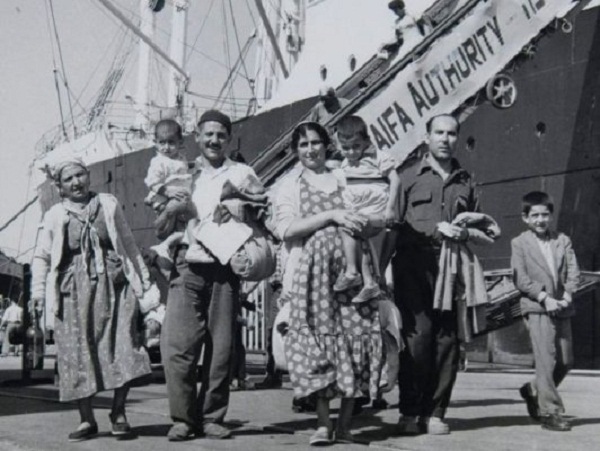 Morocco’s recognition and sensitive approach to the Holocaust is an additional sign of the special relationship between Jews and Muslims in Morocco and the way this relationship is being included as part of the broader Moroccan heritage.